Over the past few weeks, 15 items of mail posted in Moray in response to scams have been intercepted by the national scams team as part of a much larger seizure. Several of the envelopes included cheques, postal orders or bank card details. 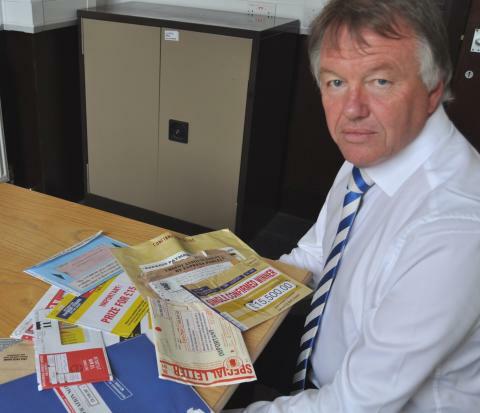 The national scams team – part of National Trading Standards - forwarded them to Moray Council’s trading standards staff who are in the process of returning the mail to the senders. “This is the first batch of mail we have had returned to us and the total value of the orders was just over £100,” said trading standards officer Stuart Duncan. Most of the mail from Moray which was intercepted by the national scams team related to bogus prize draws. 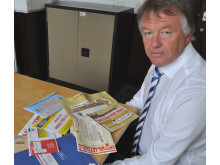 In addition,nearly 30 householders in Moray are being contactedas part of a joint initiative set up last year by Royal Mail and trading standards at a national levelto encourage postal staff to be on the alert for residents who they suspect may be the victims of scam mail. Staff are asked to look out for frequent or unusualdeliveries to residential addresses and to inform their managers if they suspect the deliveries are scam-related. Potential victims identified in this way are contacted by trading standards to provide the appropriate advice and assistance.